What Will I Do At Camp? What Will I Eat At Camp? Who Will My Counselors Be? What If My Teen Is Entering Grades 7-10? What If I want To Work At Camp? Do You Provide an Aftercare Option? 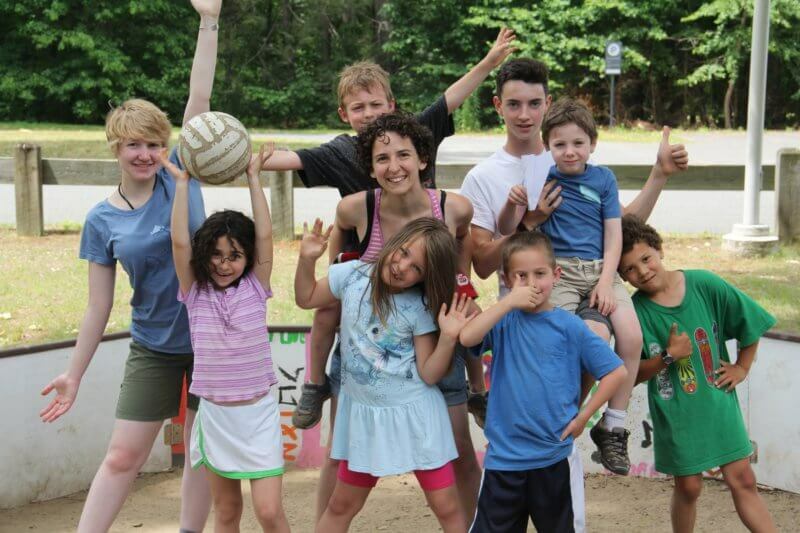 Camp Shemesh, a program of the Jewish Community of Amherst (JCA), was founded in 1986. 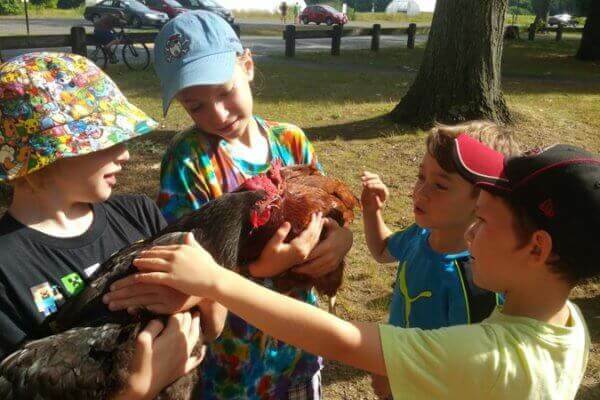 Through a framework of Jewish themes and values, we provide space for youth to explore their authentic selves while learning to be empathic and environmentally sensitive people and leaders. Camp engages music, creative arts, gardening, sports, swimming, field trips, team challenges, Kabbalat Shabbat celebrations, and more. We value exploration of self-expression, earth stewardship, community, diversity, and identity. We pride ourselves in our welcoming, joyful and inclusive atmosphere for both Jewish and non-Jewish families. We serve campers and teens entering first through sixth grade. Our camp day runs from 8:45 am to 3:30 pm, Monday thru Friday. The Jewish Community of Amherst is a 501 (c) (3) organization. This camp must comply with regulations of the Massachusetts Department of Public Health and be licensed by the local board of health. 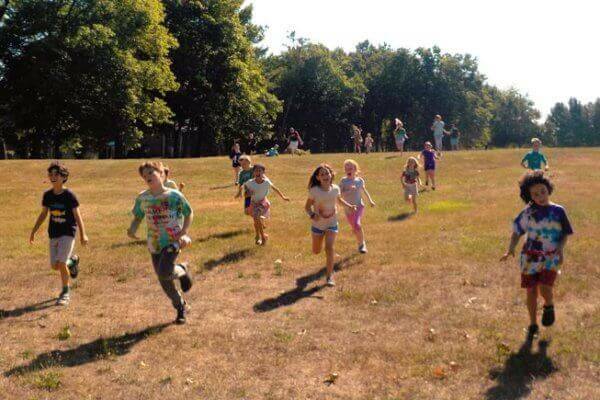 Camp Shemesh is located on the beautiful Hampshire College campus in Amherst, MA. Our home base is one of the Greenwich mods that is exclusively used by Camp Shemesh over the summer. This provides us with plenty of indoor and outdoor spaces to use no matter the weather. 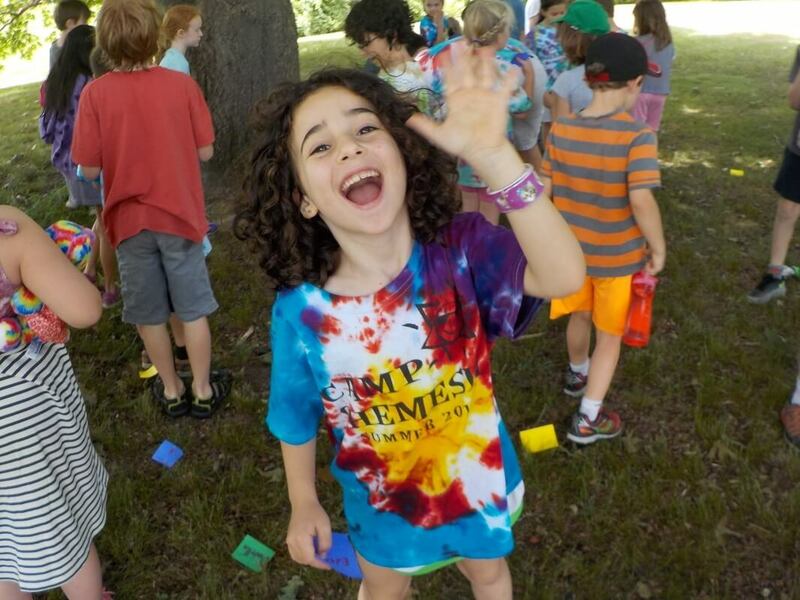 Camp Shemesh offers five one-week sessions. Each session provides in-depth opportunities for campers to imagine, explore and create through hands-on projects, special guests, peer-based unit activities and chuggim (electives). 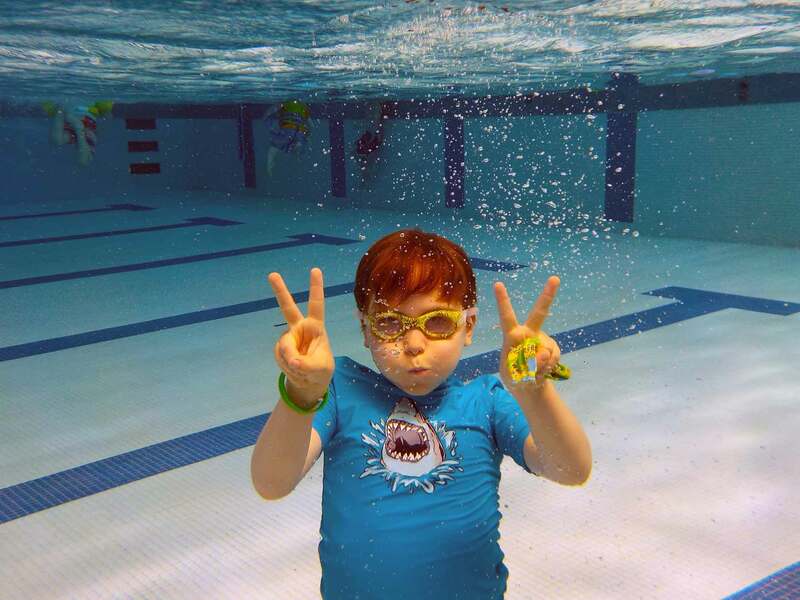 All sessions include daily swimming and outdoor games, crafts and nature programs led by experienced specialists. 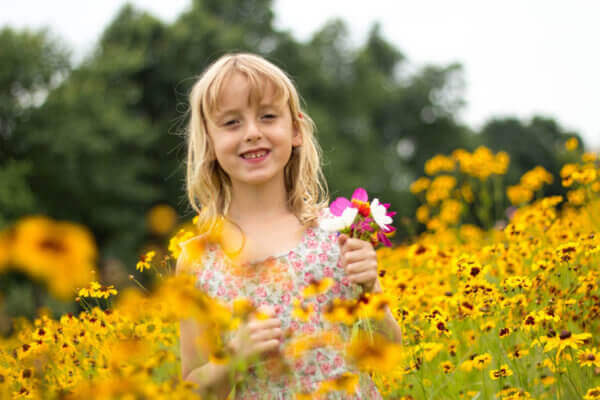 Campers in grades 3 through 6 will enjoy field trips to the JCA garden for special programming with our garden specialist. One of our oldest camp traditions is Kabbalat Shabbat. 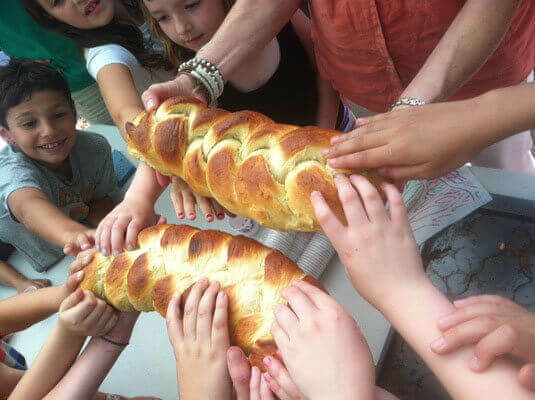 On Friday afternoons from 2:30-3:30, family and friends are invited to join us for this special time when campers share their projects from the week and the camp comes together to say prayers over grape juice and challah baked by campers. Families may enjoy a slideshow of photos from the week, sing songs, hear stories, and/or participate in activities led by the staff. All campers are required to bring a non-refrigerated bag lunch, labeled with their name. When packing your camper’s lunch, please pack a dairy/pareve and nut-free lunch. Read below for more information about our food policy. Camp Shemesh provides two snacks a day including a gluten-free option. See below for other allergy accommodations. Camp Shemesh has a nut-free policy. We can provide snack alternatives for campers with mild to moderate allergies and sensitivities. If your child has severe or multiple allergies or is a particularly picky eater, it may be more suitable for your camper to bring their own snack, labeled with their name. Please do not hesitate to contact us to discuss this. At Camp Shemesh we follow the JCA food policy. All food at Camp Shemesh and on Camp Shemesh field-trips must be dairy/pareve and nut-free. We realize that our families adhere to a variety of diets at home and that this form of kashrut may be different from what your child is used to. We approach this as an opportunity for students to learn about different styles of kashrut and Jewish identity. Camp Shemesh features a superb team of leadership staff, counselors, specialists, and counselors-in-training, with a low camper-staff ratio. Staff members are selected for their experience working with children, their leadership capabilities, their unique talents, and their enthusiasm for providing a fun and meaningful Jewish summer camp experience. Teens entering 10th Grade are invited to apply to be a CIT. OK, but what if my teen is entering 7th, 8th, or 9th Grade? These years mark a crucial transformation: our teens are transitioning from being campers, to being leaders. They are looking for more out of their summer program than just being participants. They are seeking out significant ways to contribute and grow. This transition is challenging to facilitate within the Camp Shemesh community. Without some distance of both time and space between themselves and the campers, teens often have a hard time getting into the leadership frame of mind. To effectively transition from camper to counselor requires an experience that inspires renewed motivation sourced outside of what they’ve received from Shemesh. This experience is most effectively achieved through immersion among Jewish peers and mentors, and we have put together a list of programs that we believe will provide this inspiring motivation that rising 7th, 8th, & 9th graders need in order to come back to Camp Shemesh and be effective CIT’s and counselors. Click to learn more about current employment opportunities at Camp Shemesh. Aftercare at Camp Shemesh is offered from 3:30-5:30 pm daily. A minimum of 6 kids is required each week. To sign up, please check the ‘Aftercare Options’ box on your camp registration form. You will be invoiced separately for the aftercare fee. Payment for aftercare will be due by July 1.